WE will not allow President Edgar Lungu and his police to stop us from mobilising as opposition, says UPND vice-president for administration Geoffrey Mwamba. And Mwamba says the August 11 general elections will be like the 1991 revolution. In an interview, Mwamba said it was unacceptable that President Lungu, his members of parliament and Cabinet ministers were busy campaigning countrywide while using the defective public order Act to stop the opposition from freely mobilising ahead of the August 11 elections. Mwamba said President Lungu was scared, which was why he was busy abusing the public order Act. President Lungu, in his address to Zambians living in Italy, on the riots that rocked the Copperbelt University and UNZA, said he loves the public order Act, but Mwamba said that law was defective and the UPND would amend it once in power. And Mwamba said President Lungu had completely failed to run the country and that on August 11, Zambians would ‘evict’ him from State House through a revolution similar to that of 1991. “It is very clear, even to a villager, that Lungu is going. The August 11, 2016 elections will be like the 1991 revolution. Zambians are pissed off! Zambians are tired of this government. They have realised that the PF government under the leadership of Lungu is not taking them anywhere, so if he was given another term of office, people would perish. The Bible says ‘Where there is no vision, people perish’. This is basically what will happen,” Mwamba warned. Mwamba said there was nothing to show for PF’s stay in power. “They [PF] have even denied peasant farmers, villagers just fertiliser, ordinary fertiliser! In the previous government, farmers were getting four bags of both top and basal dressing fertiliser but this time around, they are only getting one or sharing a bag! Now do you think the peasant farmers would want to vote such a government back into power?” Mwamba wondered. Mwamba said this time around, people in rural and urban areas were not supporting President Lungu. He said for a place like Kasama, which was once a PF stronghold, to rally in support of UPND, it showed that the Head of State had lost it. “The status in Lusaka too has changed; the UPND is at 60 per cent in terms of support because of load-shedding and high prices of commodities. These issues have really de-campaigned Lungu. 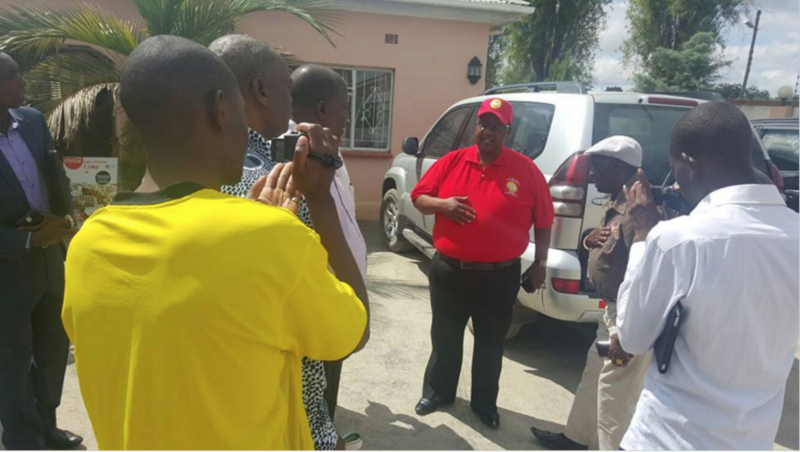 Ba taxi driver baleti ‘Mudala wesu takwete vision’ (Taxi drivers are saying ‘Our big man has no vision),” said Mwamba.